5. Why Are You blue? It might seem odd that the MJQ, that most sensible of groups, released an album where the lead track was a cover of an Ornette Coleman tune. But when you realise that John Lewis was instrumental in Coleman's career (having sponsored him through college a few years earlier), then the reason for Lewis' choice of music for this album becomes clear. 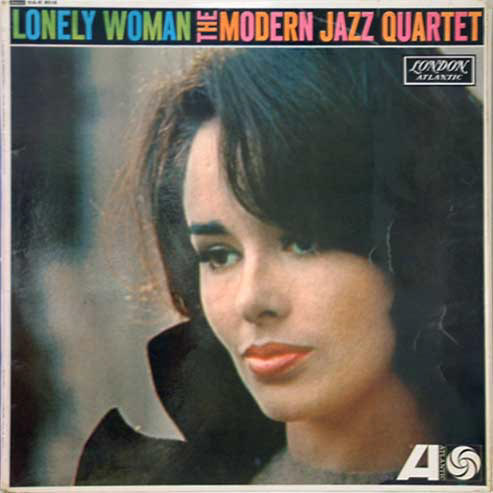 It's also worth poining out that Percy Heath played on Coleman's epochal 1959 set 'The Shape Of Jazz To Come'; that album featuring Coleman's original take on 'Lonely Woman'. The original is marked out by Coleman and Don Cherry playing the theme statement together, with some unexpected harmonic interplay creating a sinister feeling. Here the mood is more haunting than sinister, with Lewis' piano and the backing of Heath's bowed bass tugging on the heartstrings. While Coleman's version goes on to enter the realm of free improvisation, the MJQ stick to what they know best with spirited but conventional blues/bop based solos. And that's the template for the rest of the album. No sooner has the title track faded out than we're into familiar MJQ territory with the upbeat 'Animal Dance'. It's strong melodic sensibility and blues feeling will be instantly familiar to MJQ fans everywhere. Milt Jackson has a standout moment with his solo on 'New York 19', in his much imitated but never bettered bluesy style. The other standout track closes the album 'Triestse' has an interesting structure, with it's vaguely eastern intro leading to a march tempo set by Lewis which Jackson uses as a jumping off point for some serious blues exploration, before the whole thing settles into a more conventional bop-style rhythm. And that's all in the first minute. For sheer invention, nothing else on the album comes close.